The Big Lunch is the UK's biggest annual get together for neighbours. It's a simple idea - that for a few glorious hours, cars stop, shyness stops and neighbours come together in the street to meet, greet, share, swap, sing, plan and laugh. 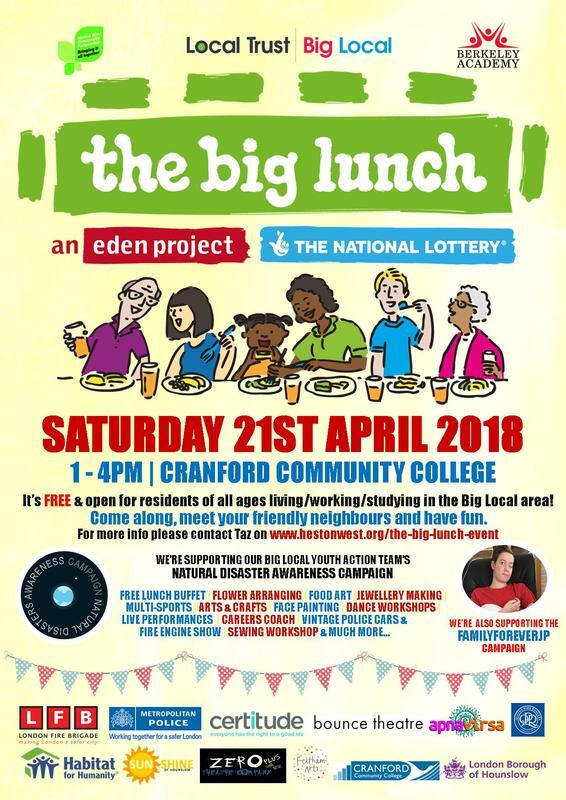 ​from 1 to 4pm at Cranford Community College. 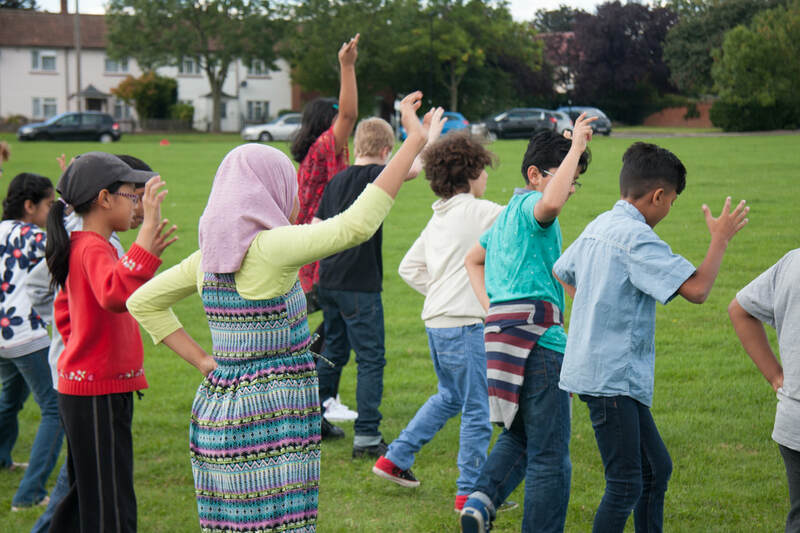 Supported by Eden Communities Project and Maria Pedro, Her Majesty Deputy Lieutenant of London Borough of Hounslow, we aim to bring people together and help our community become one. The event is FREE for everyone. We are supporting two campaigns, our Youth Action Team's Natural Disaster Awareness and FamilyForeverJP, we hope to raise awareness and funds for these great campaigns. For more information OR to get involved please contact Taz on 07840047771 or click here. We are supported by London Fire Brigade, Metropolitan Police, Certitude, Bounce Theatre, Apna Virsa, QPR Community Trust, Habitat for Humanity, Sunshine of Hounslow, Zero Culture, Feltham Arts, Cranford Community College, Berkeley Academy & Hounslow Council.